Lawmakers in Augusta are considering a bill to allow assisted suicide in Maine. In what seems like a lifetime ago, I began my activism against assisted suicide in a small dorm on the University of Maine campus in Orono, never imagining that I’d still be arguing the same points about such a flawed law that was enacted in Oregon in 1997. That year I went to Washington, D.C., to protest outside the Supreme Court (on a day that was bitter cold by even Maine standards) as they heard the Vacco v. Quill case, which challenged the constitutionality of New York state’s ban on assisted suicide. A year later I testified in front of the Maine Legislature for the first time against assisted suicide. By then, it had been defeated a handful of times. It failed that year as well, and voters soundly defeated a referendum on the same legislation in 2000. Maine people know that when you are looking at issues of life and death, you look to the experts in their fields. In testimony at a work session on this same proposal in 2017, the Maine Hospice Council estimated there was a large segment of Maine, roughly the size of Rhode Island, that has no access to hospice or other palliative or end-of-life services. Legal options such as advance care planning are already available to let others know your healthcare wishes. 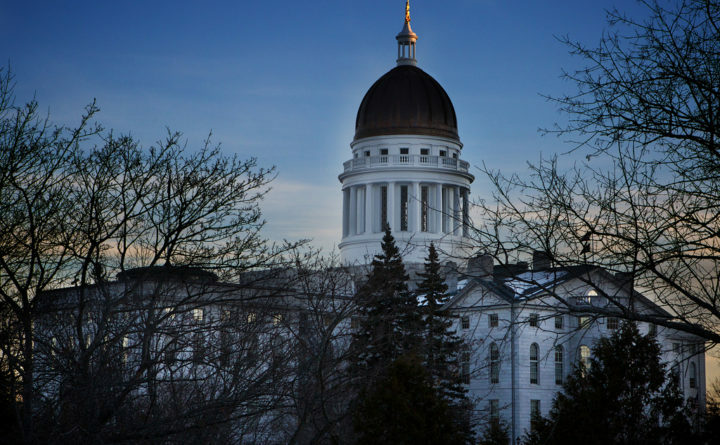 A bill heard in the Legislature in 2015 revealed that Maine does not have the infrastructure to provide care for individuals who have certain forms of neuromuscular disabilities and require the use of a ventilator. The only options then were care provided out of state. We have no business discussing assisted suicide when quality palliative care is not accessible across the state. With Maine finally expanding its state-funded healthcare to populations who have gone without it for years, there are far too many issues that make assisted suicide incompatible with Maine values. Proponents of assisted suicide like to point to the myriad of “safeguards” in their laws, but the reality is once the prescription is picked up from the pharmacy, there is absolutely no oversight in the law to protect the ill person from someone else who wants to hurry their death along, be it an insurance carrier, an heir or a caregiver. And this is not a “dignified” death, it’s taking 100 tablets and emptying their bitter contents one by one into the recommend “sweet liquid” to consume. According to yearly reports released by the State of Oregon Division of Health, it can take anywhere from several minutes to more than 72 hours to die in this manner. According to the 2018 report, eight people actually woke up after taking the “sweet drink” since the law was enacted. This law vastly redefines “terminal,” so broadly that the word may lose any real meaning. In Oregon, diabetes has been reported as a qualifying “terminal illness.” Anyone who needs medicine to keep a chronic illness in check would qualify if, by stopping the medication, the individual would likely die in less than six months. For people who have cancer, chemotherapy has even been denied in Oregon by state-run health insurance, which offered assisted suicide instead. The effects of this law are felt far beyond the confines of the sick and terminally ill. The Centers for Disease Control in 2017 stated that Oregon had a 35 percent higher rate of suicide than the national average; it was even higher in younger populations. We should all be concerned about what kind of message a government sponsored, medically administered program of assisted suicide sends to anyone facing difficult times. This legislation is a last-ditch effort of Maine Death with Dignity, which was trying to put the legislation out to referendum this year, and whose vast majority of financial backing comes from out of state, namely the Death with Dignity National Center, located in Oregon. Please contact your legislator and ask them to oppose LD 1313. Mike Reynolds is a Maine native and member of Not Dead Yet, a disability rights group opposed to assisted suicide. He lives in Lewiston.